Η Mistras Group Hellas είναι μέλος του ομίλου Mistras Group, ενός κορυφαίου πάροχου υπηρεσιών, τεχνολογιών και προιόντων Μη Καταστροφικού Ελέγχου. H εταιρεία δραστηριοποιείται στο χώρο των Μη Καταστροφικών Ελέγχων για περισσότερο απο 20 χρόνια και εξειδικέυεται στην Ακουστική Εκπομπή. Εξαιρετικά εύχρηστο, μπορεί να χρησιμοποιηθεί από αριστερόχειρες ή δεξιόχειρες, άμεσος έλεγχος λειτουργιών, έγχρωμη οθόνη (Color Transflective QVGA) με δυνατότητα εναλλαγής χρωμάτων για χρήση σε εσωτερικούς ή εξωτερικούς χώρους . Case Impact-resistant and water-resistant, gasketed case with sealed connectors. Designed for IP67. 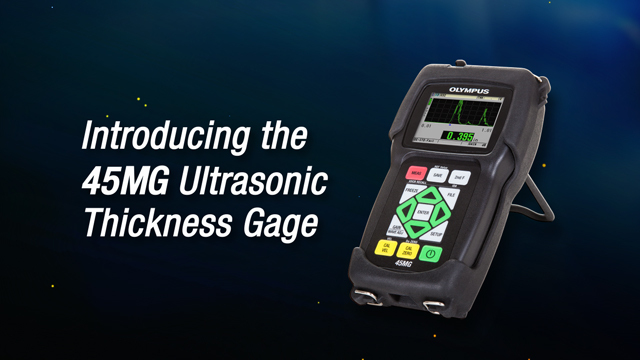 Data logger The 45MG identifies, stores, recalls, clears, and transmits thickness readings, waveform images, and gage configuration information through USB or MicroSD. Reports On-gage reporting of summary with statistics, Min./Max. 45MG-SE (U8147022): Single Element option to use single element transducers with frequency range of 2.25 MHz to 30 MHz. 45MG-HP (U8147023): Single Element High Penetration option to use single element transducers with frequency range of 0.5 MHz to 30 MHz. All standard dual element transducers feature Automatic Probe Recognition, which automatically recalls a default V-path correction for each specific transducer. Item Number Part Code Freq. *These transducers can only be used with the High Penetration software option. **Use with spring loaded holder. The Sonopen transducer has a replaceable delay line that is tapered to a small contact area. This transducer makes reliable thickness measurements in applications such as turbine blades and tight radii on plastic containers. Panametrics Microscan immersion transducers are designed to transmit and receive ultrasound in water. Thickness measurements by immersion technique are often preferred when the test piece has a complex geometry or in on-line applications. Typical off-line applications include wall thickness measurements on small diameter plastic or metal tubing, scanned or rotary measurements and thickness measurements on sharply curved parts. Transducer focusing may be necessary depending on the application. The RBS-1 immersion tank is designed to simplify ultrasonic thickness measurements using immersion techniques. Microscan delay line transducers provide excellent performance on very thin materials, at elevated temperatures,or with applications that require a high degree of thickness resolution. **Delay line is not replaceable on these transducers. Delay lines function as a protective buffer between the surface of the test piece and the transducer element. Liquid couplant is almost always necessary to provide acoustic coupling between the transducer and the test piece. We offer various types of couplants to suit virtually all applications. 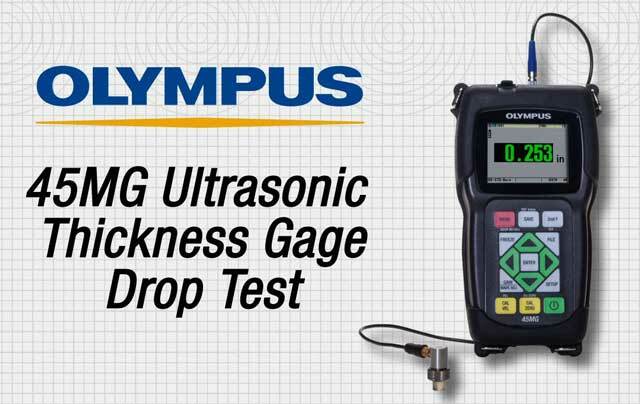 Test blocks are necessary for the calibration of ultrasonic thickness gages and should be used to maintain and verify the accuracy, dependability, and reliability of ultrasonic measurements. Blocks are held to tighter tolerances than stated in ASTM E797 code. Metric test blocks are available. A wide selection of transducer cables suitable for all ultrasonic thickness gaging instrumentation.